Jerry was born October 7, 1948 in Holly, the son of Warren and Beotta (Alexander) Austin. He was a veteran of the US Army. Jerry was married to Carol Hoffman on January 26, 1985. He was a truck driver for Allied Van Lines Allen Storage and Moving. He also retired from Lake Fenton Community Schools. 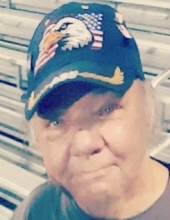 Jerry enjoyed hunting, fishing, watching football and the Detroit Tigers, but he especially enjoyed spending time with his kids and grandkids. Surviving are: his beloved wife of 34 years, Carol; 5 children, Jeri (Dave) Middleton of Fenton, Jerico (Laurie) Austin of Fenton, Sharon (Mike) Briggs of Linden, Mark Austin of Swartz Creek, Kristen Austin (Taylor Barrett) of Swartz Creek; grandchildren, Ashley, Kaitlyn, Kali, Courtney, Joshua, Carson, Meadow, Lori, Scott, Chelsi, Michael, Warren; great-grandchildren, Brooklyn, Charles, Jonathan, Karlee, Weston, Ledger; brother, Steve; 3 sisters, Caroline (Virgol) Estep, Donna Buning, Vera (Darrell) Matney; and several nieces and nephews. To send flowers or a remembrance gift to the family of Jerry Edward Austin, please visit our Tribute Store. Or, if you would like to donate to the family, please visit Jerry's Tribute Fund. Help ease the financial burden placed on the Austin Family after the loss of a loved one by making a donation. "Email Address" would like to share the life celebration of Jerry Edward Austin. Click on the "link" to go to share a favorite memory or leave a condolence message for the family. Provide comfort by sending fresh flowers from our local florist or donating to Jerry's Tribute Fund.